Nearly two billion websites are live online. Millions of blog posts published daily. The idea of starting your blog can seem daunting and feel a little defeating. After all, there are already so many voices in the digital world. Despite the volume of blog content existing on the web today, your blog is actually a must for businesses. Why? Because, while you’re dragging your feet, your competitors already hit 2,000 visitors. Blogging is a major focus area for content marketers. In fact, 79% of B2B marketers say their blog is a top format they use to distribute content. Plus, blog content creation is the second highest priority for companies (55%), slightly behind growing their SEO and organic presence (61%). And blogging directly influences the latter. The reason is simple: blog content carries a lot of value. Before you get into planning, you need to fully understand why you're investing in blogging. First of all, your business blog establishes your authority and demonstrates your credibility within your industry. By delivering relevant, informative content, you will impress your audience and stay top of mind. A Blog Will Drive Traffic to Your Website. Blog content yields more indexed pages on your site, which is added opportunities for visitors to find you. From an SEO standpoint, this helps your website rank higher the more pages you add. In terms of social media, your blog content can be shared and expand your brand awareness. The more traffic you earn to your website, the more opportunities you have to earn leads and prospects, which can eventually close. A Blog Will Drive Conversions. Your blog content should educate visitors, but outside of being helpful, it should also lead visitors to download a content offer. In an ideal world, you’ll provide relevant offers that provide more value for specific problems and pain points. 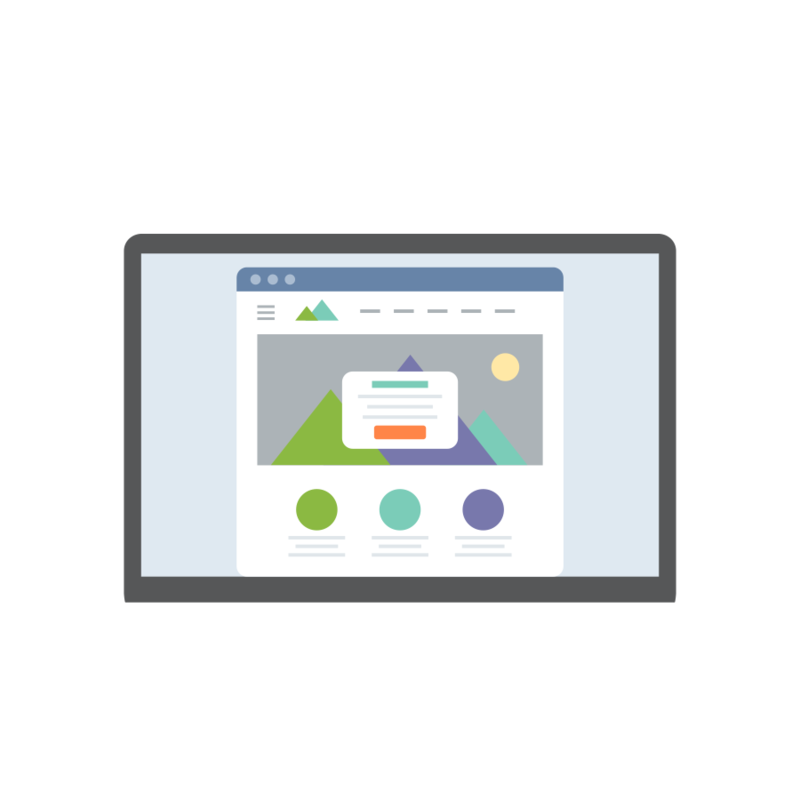 Your call to action (CTA) will lead your visitors to a landing page that includes a form for them to submit their information in exchange for the downloadable offer. This information is valuable to your business. You learn about your readers and capture information that allows your marketing and sales team to qualify leads and learn how to best deliver more value to continue educating them. For example, you can build your email list by earning blog subscribers and deliver newsletters and relevant content to them. Conversions lead to more opportunities to close deals and drive revenue goals for your organization. A Blog Builds a Community Over Time. Through consistent, ongoing blog content creation, you won’t just earn traffic and drive conversions – you’ll also earn loyal, eager fans who start following you. An engaged, avid community of readers will show you what your audience is interested in and give you insights on what they need more information on. A community is built thanks to your expanding body of blog content. As you build out your content assets, you can continually generate traffic through your new content and through compounding blog articles. But building your business blog isn’t as easy as simply writing content just for the sake of creating content. Creating and maintaining your business blog requires a lot of planning, organization, writing, measuring, promoting, and optimization. Your planning stage needs to address three important aspects of your business blog. Voice and Style – How do you want your brand to be conveyed? Strategy – Who are you trying to reach, what content will you provide, and how will you hit your objectives? Resources – How much time and how many people can you invest in building and maintaining your blog? 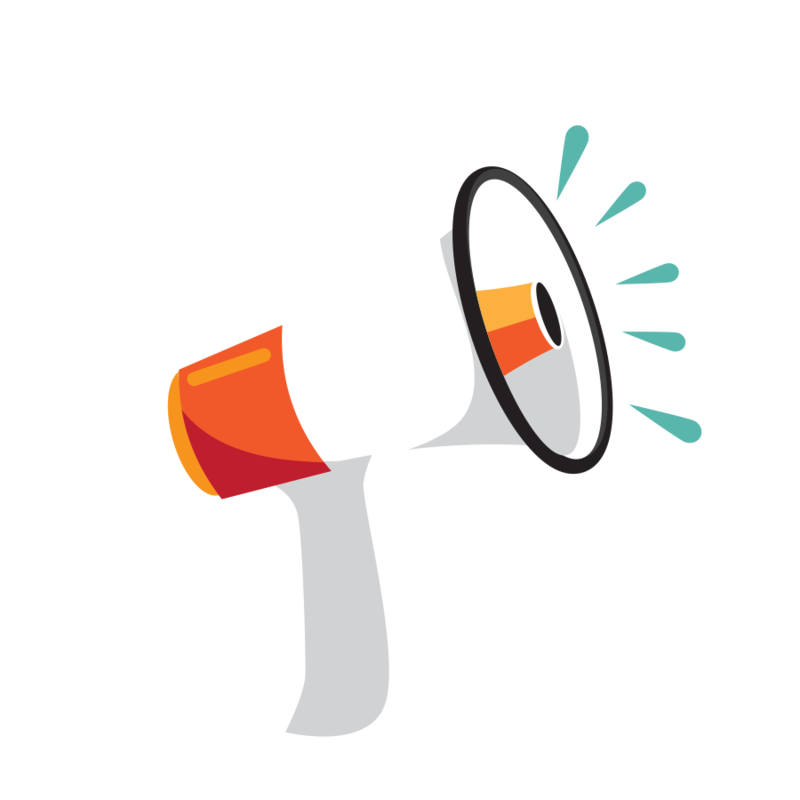 Your brand’s voice is a vital component of your business blog. But your voice is not about what you say. Your voice is about how you say it. And that can leave a big impression on your readers. There is no right or wrong voice for you to use in your business blog. Rather, the primary focus should be authenticity. To ensure you develop the best voice for your business blog, follow these steps. 1. Find the You You Are. Mission – What is your mission statement? How does it differ from your competitors’? Culture – Describe your company culture. What is the rapport like in the office between your employees? Value – Why are your products or services so important in your industry? How are they different from others? Your answers need to be honest, accurate, and descriptive. This way, you have a good snapshot of your the brand identity you want to convey in your blog content. 2. Translate Your Identity to Style. Don’t run away just yet, but at this stage, before diving into blogging, you need to create a company style guide. I know this is daunting and sounds like a drag, but every aspect of your branding, like your logo and your design, require style guides. Streamline your writing and optimization process. Ensure consistency in all blog content. Maintain quality standards for each article. Simplify training for new contributors as you scale your blogging team. Your blog style guide needs to address colors, images, font information, language and tone, and grammar. 1. Establish Your Buyer Personas to Understand Your Target Audience. Your blog is built for a specific kind of reader. So keep your buyer personas in mind as you start establishing your style. We will cover how to build buyer personas in the next section. 2. Keep Your Company Identity in Mind Before You Start Writing Your Style Guide. After answering your questions about your mission, culture, and value, you have a clear idea of your company identity, which should inform your style guide. For example, if your culture is informal and fun, the voice and language you use should emulate that. A stuffy, dry corporate voice would not align with your identity and could misrepresent your brand to your target audience. 3. Start With Formatting for Your Blog Content. When it comes to formatting, you need to select your font style and size, header tags, header tag colors, use of images, sizes of images, and all other relevant format options. 4. Write Content Style to Cover Everything. Your content consists of language, punctuation, and grammar. Identify what style you want to follow for this. For example, you could default to common style and usage guides, like the AP Stylebook, the Chicago Manual of Style, and the MLA Style Manual. Spelling – American English, British English, etc. Punctuation – Use of the Oxford comma, dashes and hyphens, semicolons, etc. Numbers – How to use numerals to identify numbers in your copy. Acronyms and abbreviations – How to effectively communicate with industry-specific acronyms and abbreviations. 5. Address the Finishing Touches of Your Blog Content. Sourcing and citing other articles, research, and images. Categorizing and tagging each article. Hyperlinking best practices, for both internal and external linking. Including author information in the bio section. Handling social linking and other social elements. When you have your blog style guide ready, you can educate your team and potential guest contributors. But keep in mind, your style guide isn’t set in stone. It will evolve over time as you find what works and what doesn’t. You need a map to navigate a road trip. The same goes for executing marketing efforts. Without a strategy, you don’t have an idea of what success is and you don’t know how to drive real results that contribute to big-picture, organizational goals. A buyer persona is a semi-fictional representation of your ideal customer. When you’re building your personas, you should use market research and real data from current customers. There are many ways to flesh out your buyer persona. You can research current customers and ask for their feedback on how satisfied they are with your products or services. Also, reach out to referrals and prospects, as well as your sales team to get a better understanding of ongoing concerns from your ideal customer. Ask insightful questions about their company, role, goals, challenges, where they get information, and shopping preferences. One of the best free tools you can use is the Make My Persona tool from HubSpot. It walks you through every step of the process and gives you a cool PDF to download for reference. When you have buyer personas on hand, you can then start conducting keyword research. Keyword research is an essential part of your SEO strategy, which helps your content rank higher and generates more traffic. Build a list of topics relevant to your buyer personas’ challenges and goals. These should be broad, general topic buckets. Start identifying keywords and phrases you want to rank for in search engine results pages (SERPs). This should be a brain dump of phrases your ideal customers will be searching on Google. Find a keyword research tool and start researching each term. Look at the search volume and other important information, like priority scores and cost-per-click (CPC). 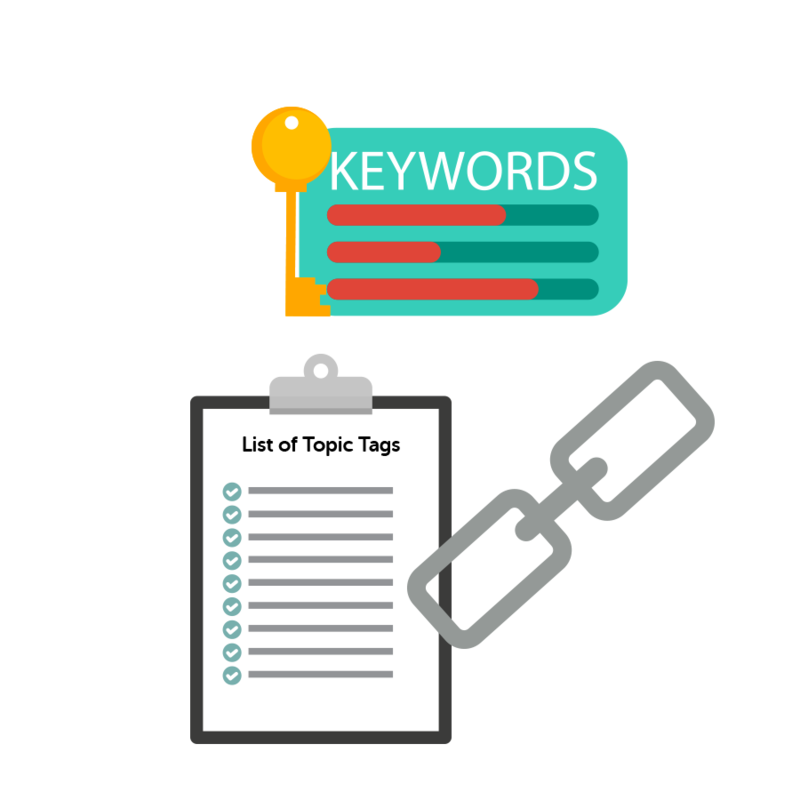 NOTE: Mix your keywords with head teams (shorter, generic keyword phrases) and long tail keywords (three or more words that are more specific). Use another online tool to conduct competitor analysis. You can find what keywords your competitors are ranking for and find opportunities you want to compete for. But this is just one aspect of your SEO and blogging strategy. You want to integrate topic clusters. Building your topic clusters consists of planning out what broad topics you want to address and mapping out content related to the clusters. A topic cluster acts as a collection of articles and webpages interlinked around one main topic. It consists of pillar pages, cluster content, and hyperlinks between them. A pillar page is the center of your topic cluster. It is a long-form piece of content that covers a broad topic comprehensively. The pillar page then links out to shorter form content covering subtopics that share a semantic relationship with the main topic in the pillar page. These shorter pieces of content related to the pillar page are also referred to as cluster content. Your cluster content is more specific and in-depth on the subtopics. For example, if your pillar page is on cybersecurity, your cluster content can cover things like the latest notable cybersecurity hacks, a curated list of cybersecurity reports, and tips on teaming with cybersecurity professionals. 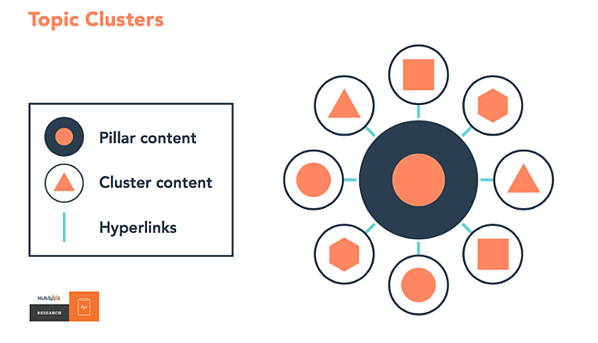 To make the most out of your topic clustering, you need to link your pillar page to cluster content and vice versa. Hyperlinking them together tells Google the content is related and builds link equity, which can improve your SEO efforts. HubSpot’s Content Strategy tool makes this entire process a piece of cake. Another important thing to consider when planning your business blog is what you can afford to invest. You need to know who in your company is going to be playing a part in building and maintaining your blog and in what capacity. Make a list of who will be contributing content, writing, editing, designing, and measuring the performance of your blog. Layout a schedule and process that indicates when each person’s role comes into play. Once you have your planning out of the way, it’s time to get started. You’ve got your team assembled, an established style guide, and plenty of research to direct you, so you’re ready to start hashing out some detailed blog content ideas. When it comes to generating new blog ideas, you need a repeatable, scalable process. One of the best ways to spark creativity and develop insightful, unique ideas is by using a blog content worksheet. You want a worksheet that encourages your team to think through every aspect of your content. Your team can look at every angle to ensure they’re developing informative, engaging content. With an editorial calendar, you gain an overview of the big picture to see what articles have been published, which ones are in the works, and which are coming up in the future. Fill out each column as you complete your home blog content worksheet. Organize your document storage in a way that makes sense to you and your team. For example, add folders in Google Drive named MONTH YEAR to organize your home blog worksheets as you create them. This way, you can link the Google Doc within the editorial calendar. An added tip: Try to come up with interesting blog content. Every so often, research ways to "reinvent the wheel" and create a new spin on a classic topic. The more engaging your content, the more interest it can generate. As you create worksheets with content ideas explained in them, you (and your team) can get to the most important part – writing. 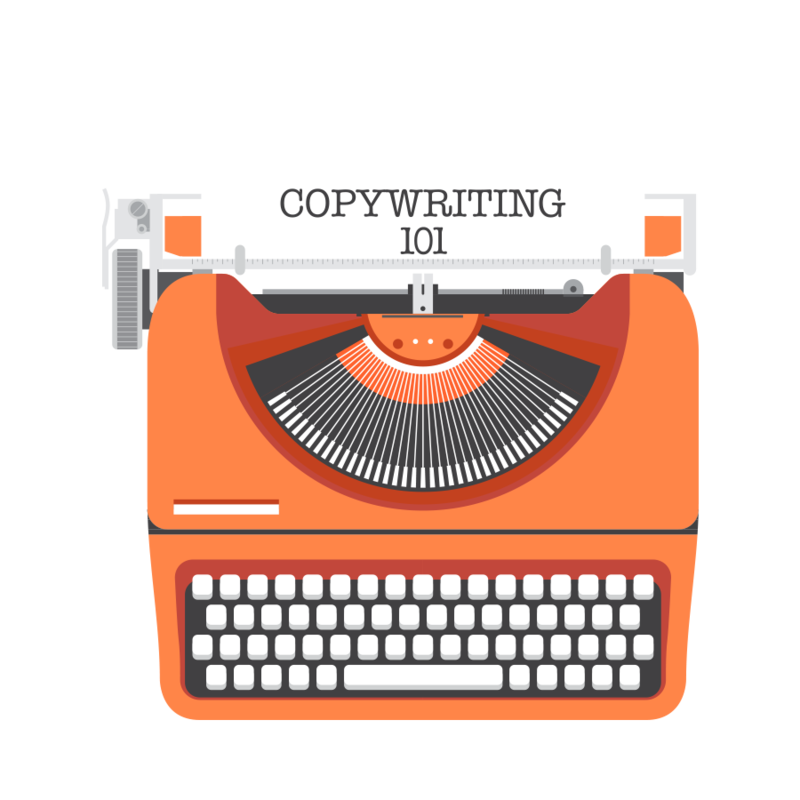 You don’t have to be the next Hemingway to write your business blog content. But you should hold a high standard of quality for yourself and your team of writers. With a detailed outline in place, you can breeze through your first draft quickly. Your outline should include a framework, showing the major ideas for each section and what points you want to touch on. Also, make sure to add relevant data and statistics that add depth to each section when applicable. Highlight the main point you are making in the introduction. Add stats here that you want to include in this section. Summary: Write a few sentences to sum up what the introduction will touch on. Keep your summary concise but detailed enough so you or another writer looking at the outline will fully understand the message being conveyed in the introduction. Highlight the main point of this first listed section. As with the introduction, include stats you want to include here too. 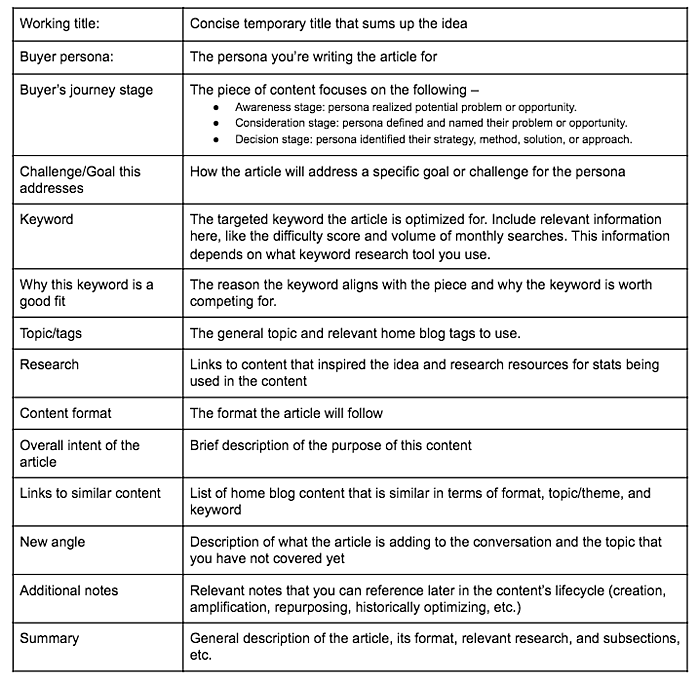 Repeat the same format for each section and the conclusion of your article. Face it. You’re not going to write perfect prose right off the bat. Just start writing. Get your main ideas down and make them flow as you follow your outline. You will have time when you revise and edit to make your content the best quality it can be. If you still find yourself stuck, start writing the section that most inspires you. That could be the conclusion, the introduction, or the third point in your listicle. Write down lines from your favorite author or book. Review the last movie you saw. Once you start getting words down, your flow will begin. Start riding that momentum and your first draft will be done in no time. This is one of the hardest parts of writing – cutting the fat from your copy. Keep your content concise and to the point. If you’re keeping fluff, you will lose readers. They don’t want to slog through huge blocks of text to find the information they need. Are there any redundancies in this section or throughout the whole piece? Can I remove certain phrases or words (like excessive adjectives and adverbs) without changing the meaning of the sentence? Is this language overly flowery or filled with jargon that could lose readers? Do my readers (e.g., buyer personas) already know this information? Diversify sentence length and structure. Flow matters for readability. Keep your readers engaged and interested by varying how sentences build on each other. Create emphasis on the points that are most appropriate to emphasize. While there are plenty of awesome grammar checking tools available online, there is no better way to improve sentence variety than by listening with the human ear. Print out your blog content and read it from a physical copy. Column 1 – list the opening words in each of your sentences, and look for where you can vary these beginnings. Column 2 – write out the number of words in each sentence, and identify where you can change sentence lengths. Column 3 – describe the kinds of sentences you used, and edit sentences as needed. Some of the most powerful figures of speech are metaphors and similes. For a quick refresher from your high school English class, let’s define what these are. A metaphor describes an object or action in a way that helps explain an idea or draw comparisons. They are not literally true. These add color and depth to your prose and can deliver important symbolic meanings or vital comparisons. When you use these figures of speech tactfully, you help paint a picture for your readers. By providing detailed metaphors, you can appeal to your readers’ senses and help them fully experience the content you’re creating. Common metaphorical expressions follow this. For example, we have all heard, “time is money.” This format is a good place to start, but don’t get lazy with your metaphors. You want to make vivid comparisons that your target audience will understand. Avoid using cliches and overused imagery. Instead, make it personal by bringing your own interests and experiences to your writing. For example, if you love cooking and you’re writing a blog article on cybersecurity, you can build an entire theme around a metaphor – finding the right ingredients to use in your recipe for keeping your website secure. This metaphor is relatable to readers because everyone is familiar with cooking concepts. Plus, it makes what could be a complex topic (cybersecurity) more accessible to readers. Your introduction is your first impression to the reader. If you don’t pull them in right away, you’re going to lose them. The best way to write strong, engaging introductions is by following the HTT method. This is when you effectively grab attention. It should be the first line of your blog article. An awesome hook is concise, interesting, and specific to the content. After the hook, you need to make a graceful handoff to the why of your article. When you transition, aim to clarify the title and describe the purpose of the piece. This is where your thesis statement shines. Your thesis statement is a concise summary of the main idea or claim you’re making in the article. It emphasizes why the reader should continue reading. You want to provide enough detail on how the content will positively impact the reader and what problem or challenge you’re addressing in the article. When it comes to writing, as with any skill, the more you do it, the better you become. Writing is an art form that, when practiced enough, can make you an excellent communicator. It helps you express your message with clarity and connect with your audience in a meaningful way. Now that you have all your pieces together, you can streamline your blogging process so you put out a high volume of awesome content. Focus on the people on your blogging team and how their responsibilities will be the foundation of your blogging process. Every blogging team might look different for each organization. If you’re creating just a few articles each week, you might only need a writer and strategist. But if you’re delivering several articles every day, you will likely need a full team to oversee your content marketing efforts. The content strategist conducts research, develops editorial calendars, and serves as a project manager to ensure deadlines are hit by each team member. The writer/editor on your team loves writing about your industry, provides comments and notes on content ideas suggested by the content strategist, and edits all blog content before it publishes. Note: Ideally, you will have a team of writers so they can edit one another’s work. Avoid self-editing – writers who edit their own content are too close to it to spot errors. Your content strategist can also act as an editor. The designer creates and approves visual elements included in your content and oversees the design of the entire reader experience. Depending on the size of your business blog, you might only need a freelance designer to conduct design and user experience upkeep for your blog. The analyst measures the performance of your blog content, conducts market research and gathers intelligence from competitors, and relates how blog content goals are impacting the big picture business goals. The community manager promotes and distributes your blog content through PR, SEO, and more, oversees social media campaigns and content, and engages with your brand’s community. The videographer manages the video content creation process, records and edits video content, and collaborates with strategists and analysts to optimize video content campaigns. If you’re using video in your business blog, this role is a must. Content marketing is forever changing as new trends and technologies come and go and as consumer behavior evolves. This is why continuous education is so important for your entire blogging team. Google Analytics Academy: Beginners, Advanced, etc. Build a content marketing learning center spreadsheet to act as a database for tracking all the best online learning materials relevant to everyone on your content marketing team. Optimizing your blog content will earn you higher rankings and more organic traffic. It is an essential component of your business blogging process. Getting rewarded for stuffing keywords is over. Now, you want to use your keywords naturally and without the sole intent of ranking. Merely repeating the keyword in your body content will not help you anymore. You should always look for opportunities to naturally use your keywords throughout the body and also within your headers. But don’t overdo it or you risk being penalized for stuffing. There’s a simple rule of thumb to follow when it comes to keyword use in the headers and the body – reader first. Ensure the keyword makes the content easier to comprehend and consume. If it’s unnatural, it will hurt the overall reader experience. Title tag – headline of your blog article that searchers see first on the SERPs. URL – this tells both search engines and readers what the webpage is about. Meta description – keyword use here tells Google and searches what your content is about. Search engines can’t see images, but they do read alt text. The alt text displays in an image content when the image can’t be found. Alt text is an attribute you can add to an image tag in HTML. This is where you can include relevant keywords. For example, when we insert images to a blog article in HubSpot, we name the image file so it’s clear what the image is, which is especially helpful if you can naturally include the keyword in each image file name. Then, in the edit modules for the featured image alt text, we naturally use the target keyword as we describe the featured image. Internal linking creates link equity, which improves ranking results. As you create more content on your home blog, you will have more internal content to link to. Aside from the SEO impact, Internal linking also helps your readers find more relevant content associated with the anchor text of your link. In 2018, not having a mobile friendly site is no longer an option. Your competitors are bound to outperform you if you lose your mobile visitors due to poor mobile UX. Mobile friendly options are ranked first because search engines favor mobile-friendly websites. Work with your internal team to ensure you use a responsive design on your website. This way, blog pages are responsive to smaller screen sizes. Responsive design websites allow blog pages to have just one URL so you’re not using two (one for mobile, one for desktop). This way, links to your content won’t be separated into two different URLs. As you’re building your content assets in your business blog, you will need some sort of structure. This is where tags and categories can best serve you. Each blog tag you create means you create a new site page where the content from the tags will be shown. So if you’re using too many similar tags, search engines might view the content several times, which can lead to penalties for duplicate content. The best practice is to plan ahead with your blogging strategy. Select somewhere between 15 and 30 blog tags that are important and relevant to your blog. Then, just stick to only using those tags. This way, you don’t create too many similar tags and accidentally deliver duplicate content. Tags and categories are great for organizing your content. Not only does this help visitors find related content, but it also helps search engines understand how content is semantically related. A category is keyword focused and general by nature. They act as broad groupings of article topics. Each article falls under at least one category. Tags are meant to group content that apply to multiple categories. Each article usually has a few tags associated with it. Popular content management systems (CMSs) like WordPress give you the option of creating categories and tags. Include keywords in your categories and tags. Keep categories to a minimum – a good rule of thumb is between five and 10 categories (though this may vary depending on your content strategy). Don’t use singular and plural versions of the same category and tag. Ensure you’re not duplicating categories and tags. For every tag page, use a ‘noindex’ and ‘nofollow.’ This way, search engines don’t account for these pages while indexing your website. An effective business blog accomplishes many marketing goals. It’s great for establishing authority and credibility, building brand awareness, and attracting traffic to your site. But ultimately, your blog needs to fuel your large-scale business goals. Your marketing efforts should be generating leads that can be qualified and passed on to sales. This is where conversion paths come in handy. A visitor is reading your blog article and sees a valuable content offer they’re interested in, like an ebook, located in a call to action (CTA). They click the CTA and go to a landing page, where they can read more information about what the offer covers. On the landing page, they provide their information on a form so they can access the gated content offer. The visitor becomes a lead as you gather their information, and they’re sent to a thank you page where they receive the content offer. Bottom line: Conversion paths are what make your business blog valuable to your bigger picture goals. The more you build your blog and create new content, the more opportunities you have to create conversion paths for your audience. Ensure Content Offers Are Contextual. Strive to provide a content offer that speaks to the persona and the stage of the buyer’s journey they’re in for your blog articles. If the offer is tailored to their needs at their specific stage, readers are more likely to convert. Optimize CTAs to Grab Attention. Refine your language and messaging for your CTA button so readers know what the offer is by aligning the messaging with the landing page copy. Also, use action-oriented language to encourage readers to take action and click the button. Present Benefits of the Content Offer in a Concise Way on Your Landing Page. Just because they clicked the CTA doesn’t guarantee a conversion. With good landing page content that highlights what the reader will enjoy the most from the content offer, they will clearly understand the value of the offer. The content should be engaging and get them excited to fill out the form and convert. As your team puts in all the time and effort building out your blog content, you want readers to find it. Promoting your blog can’t be just an afterthought. This is a subset of remarketing, which is the process of marketing to the same prospect more than once. The concept of retargeting is used to describe the idea of delivering ad placements and display ads to users based on their activity on your site. Search engines like Google and Bing provide targeted ad options that you can use to gain exposure. Use paid ads on popular social media platforms like Facebook to gain valuable readers and expand your reach in a targeted strategy. As your team adds blog content, you should also focus on building relationships with fellow industry thought leaders. Then, practice reciprocity. Share their content, and they will likely share yours too. This ongoing networking and engagement through social media will drive your blog shares and expand your overall reach. The most important aspect of your social media promotional strategy is building authentic, human connections with people you respect and trust. This yields big results for both you and your network. Growing your amount of blog subscribers is another great way to keep your readers coming back for more. Make it easy for visitors to subscribe to your blog, then send them consistent updates to encourage them to read your most recent blog articles. Email newsletters are great for this. Also, consider offering exclusive content to them so they feel extra special and are excited to open every blog subscription email you send them. Promoters are people you link to in your blog content who carry a lot of authority and are actively engaged on social media. They’re the ones most likely to share and comment on your latest and great blog posts. Influencers, similar to promoters, are also active in your target social media areas. They typically have a large following and can give your blog a huge boost if they decide to share your content. Your team of experts who contribute to your blog should be building their personal brand. For example, outside your business blog, they can also contribute as a guest blogger in other publications where your audience is reading and engaging. You can not only earn links back to your business blog, but you can also gain brand awareness, which ultimately drives readership. No matter how you promote your blog, measuring your outreach efforts is a must. Tracking results from all your promotional methods helps you refine your approach and evolve your strategy to a more impactful, successful one. As you know with anything in marketing, you need to track your efforts. Defining the success of your blog content guides you and your team in the right direction. When you know what is successful and what is falling short, you can evolve your entire business blogging strategy over time. It can be overwhelming when you first start reviewing your blog content data. Tools like Google Analytics or your CMS analytics dashboard are very intimidating. There are so many charts, graphs, and data points. The best first step you can do is take a deep breath. Don’t worry. Not every metric is super important to measuring your blog content performance. Google defines a pageview as the instance a page is being loaded or reloaded in a browser. This is a good indicator of how popular certain blog articles can be, but it’s not the only traffic metric worth looking at. You want your blog content to do more than just bring in new visitors. You want those readers to return. The amount of returning visitors answers an important question your team needs to answer: Is our content delivering enough value to bring our readers back for more? This metric shows how many pages a user or group of users views on your website, and it’s often displayed as an average. If your readers are seeing multiple pages in one visit, that means your internal linking strategy is effective. It encourages them to keep diving deeper into your blog for more help. These are by no means an end all, be all metric for engagement, but it is a good indication of whether or not readers trust and respect you as an industry authority. The more readers share your blog content, the more authority and trust you earn with a bigger audience. If your shares are high, consider displaying share counts to create social proof for your brand. Also known as inbound links, these act as votes of confidence. Measure how many links you earn from outside resources, but keep authority in mind. The higher the authority is for the website linking to you, the more valuable those links are for your link profile. If you have a comments section in your blog, stay engaged in it with your readers! If people talk and discuss your content underneath your blog articles, it shows they’re moved by your insights and want to recognize your contribution. One of the most important purposes of your business blog is to generate leads to eventually send to sales, who can then turn these leads into prospects and customers. Ideally, if you’re earning targeted traffic on your site and your readers are finding value, they will subscribe to your blog. This metric is your number of subscribers. If your subscribers aren’t growing over time, look for opportunities to turn this around, like promoting awesome email newsletters or providing incentives for email subscribers. This metric shows how many visitors ultimately convert and become email subscribers. A high conversion rate tells you that your content is relevant and that your content offer (lead magnet) is exciting to readers on particular blog articles that convert a lot of visitors. Build a process with your team so your best analytical thinkers are consistently measuring and reporting on this data. Your blog content is never a set-it-and-forget-it situation. Once you figure out the best time to publish your blog, you can make the most of the content’s mileage down the road with a few techniques. The act of historically optimizing is an exciting tactic that can yield big traffic results. It’s the process of optimizing your outdated blog content to generate more traffic and conversions. It’s common for business blogs to generate the majority of their views from articles published in the past. Those higher performing articles also often produce the most leads. You’re increasing traffic to these articles. You’re improving conversion rates for them. This is achieved by adding even more value to these already awesome blog articles. When you’re updating them, you want to make accuracy and comprehensiveness a top priority. For example, add more entries to a list article or include more recent examples in an article that showcases real use cases for a particular subject. This fresh update is rewarded by searchers and search engines alike, so you can expect an improvement in your SEO results for these articles. Plus, as more readers enjoy the added value, you can earn more links and social shares. Make a list of articles worth updating. These have the potential to rank higher for keywords and are old enough to make updating a necessity. Add improvements to each article that are noticeable. Remember, you’re trying to add even more value to these articles for your audience, so look for ways to make the content more comprehensive and accurate. Optimize the article for conversions and search engine rankings. This means using the target keyword naturally within the content as you rewrite and add to it. Incorporate those keywords in your CTA as well, and ensure you’re providing a relevant content offer in the article that aligns with the persona and the reader’s buyer’s journey stage. Celebrate some of your best work – That awesome blog article you just wrote six months ago can stay front and center with your audiences and continue to deliver value. Reach new audiences – By using tactics like reformatting, you can expand your audience reach. Get the most out of your blog content – You and your team spend a lot of time and energy on each article, so why not get the most mileage out of it? This doesn’t mean simply spamming your social media followers by sharing blog articles dozens of times each day. It means getting your content on different channels in different formats. Similar to prioritizing your historical optimization articles, you want to find content that is popular and that you can build on. Also, start looking at your most popular blog content to see how to expand its reach. Turn an article that lists a lot of research into an engaging, visually appealing infographic. Break your listicles into a blog series, where you go more in depth into each individual listing. Repost portions of your blog articles on Quora to join in on relevant conversations where you can deliver value. Read blog articles and record them in audio format, then release it as a podcast. Host a webinar that builds on existing blog content. Break your blog content, either a long-form article or series of articles, into bite-sized chunks and develop an email series or ecourse related to those content topics. Transform blog articles into slide presentations, like a SlideShare that can be shared via social media. Create graphics with quick tips and snippets from your blog content that you can distribute through social media. For instructional blog articles, record a video, like a screencast, that walks viewers through how to complete a task that aligns with your existing blog article. Turn blog articles into course materials and design an online course through a massive open online course (MOOC). At this point, your business blog is ready to launch. The last piece of the puzzle involves getting your whole team on board and preparing to scale your business blog operation. The best way to get buy-in from your team, from leadership to lower level team members, is by creating internal documents that lay out every aspect of the business blog. 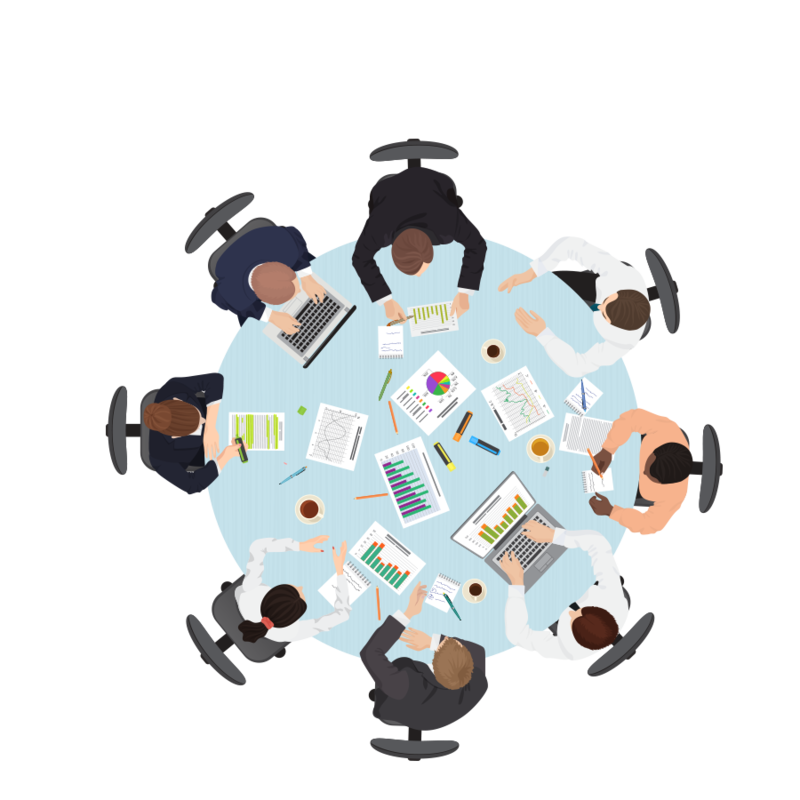 Collaborate with your team and write detailed process documents. These documents should cover everything discussed in this guide, from content ideation and copywriting tips to conversion rate optimization and blog performance measurement. Once you have your process documents completed, present them to leadership to confirm they’re on the same page as you. Feedback is always valuable at this stage. Having an open discussion about your processes will bring vulnerabilities and miscommunications to light. Plus, leadership could provide a different perspective on certain elements that might improve your processes. After you and your blogging team confirm processes with leadership, it’s time to share it with the whole company. If you have the ability, schedule a company-wide meeting where you and your team can conduct a full presentation on why you’re building the brand’s blog, how you will be accomplishing this, and what the rest of the company can do to help. The important thing to remember about processes is that they need to be adhered to by everyone involved. Taking shortcuts and skipping steps can cause problems in the long term. For example, if your community manager isn’t sticking to the style guide, your social media content promoting your blog will not be consistent with the tone and language of the actual blog. This can make you look less credible to your audience. That being said, processes are never written stone. Expect them to evolve as your team gets bigger and as you measure and adjust your business blogging strategy. Plan on revisiting your processes a few times each year to discuss potential updates to processes. But make sure everyone is on the same page and agrees with the changes. Otherwise, your whole team won’t be rowing in the same direction, which can drastically hurt your ability to build an effective business blog and halt your scaling efforts. You want a well-oiled machine of creative thinkers and problem solvers who are passionate about your brand’s blog. With the right processes in place and with defined, established roles and responsibilities for everyone involved, your blog is ready for sustainable success. A sustainable, growing business blog is one of your best tools in business. In time, your entire company will see big picture results influenced by all the hard work and resources you’re putting into your blog.